If you have a court case coming up in Hopetoun soon, or just need some good legal advice about your circumstances, call one of our lawyers now for a no-obligation, confidential chat. 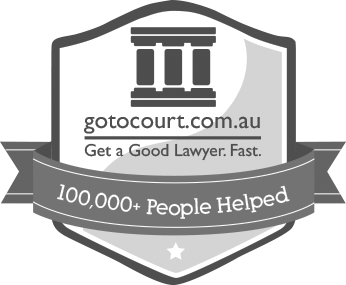 We recommend booking a 1 hour conference with your Hopetoun lawyer before going to court. You will get expert advice on what you should do, the likely outcome and any preparation you need to do beforehand. You will also get a fixed quote on the cost for you to be represented in Hopetoun Magistrates Court on the day. If you prefer, you can meet your lawyer at Hopetoun Magistrates Court without the need for a conference beforehand. Some examples of when this will suit you are adjournments, simple pleas or when your case is listed for directions from the court (not a final hearing). And if you are not on bail, you may not even need to attend. VIC Legal Hotline open 7am – midnight, 7 days on 1300 636 846. I highly recommend Carl Paterson Finch. Recently he had a very informative conversation with me over the phone. I appreciate his calm manner with explaining the process and possible outcome I could expect with having to attend court. Having no experience of going to court I was feeling anxious and ignorant of court procedures. After speaking with Carl and receiving advice through an email, I felt less anxious. I'm happy to say the result was the best possible outcome I could have hoped for. Thankyou Carl for your advice. Thank you so much for all of your effort and support since our first contact. Brianna Dennis, you are credit to your organisation and your profession, and I will be eternally grateful to you. Your persistence and commitment resulted in the most successful outcome. Bree Dennis was professionial, knew her stuff and amazing. I would definitely recommend Bree again. I want to commend Ms Slyvie Maranis for her professionalism, and knowledge when I consulted her today. She was honest, upfront and is very perceptive not to mention also being a very beautiful young lady! She was also very pleasant to talk to, understands all my issues and advised me based on the client's best interest. Her charges were very moderate and unlike other lawyers who seeks to rip off their client. I only wished I had met her for my previous cases and will definitely use her in future for our legal requirements. I highly recommend her to anyone who needs a lawyer. After speaking with Kieran Burke, he gives us a 100% honest advise for our situation, he is fantastic and would highly recommend to anyone, who needs legal advise.